since 6 July 2018. TÜV Rheinland is an internationally known and recognized certification body. 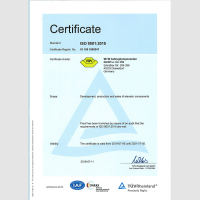 The ISO 9001:2015 certification gives the customers a sense of security and satisfaction and it is the foundation for W+W Aufzugkomponenten to continually improve the operational procedures. The transparency of internal processes supports and advances the service quality of the company. Time and costs are saved, increasing the contentment of customers and employees. The quality controls document the strict compliance with the certification specifications, from the development and the manufacturing to the delivery to the clients. 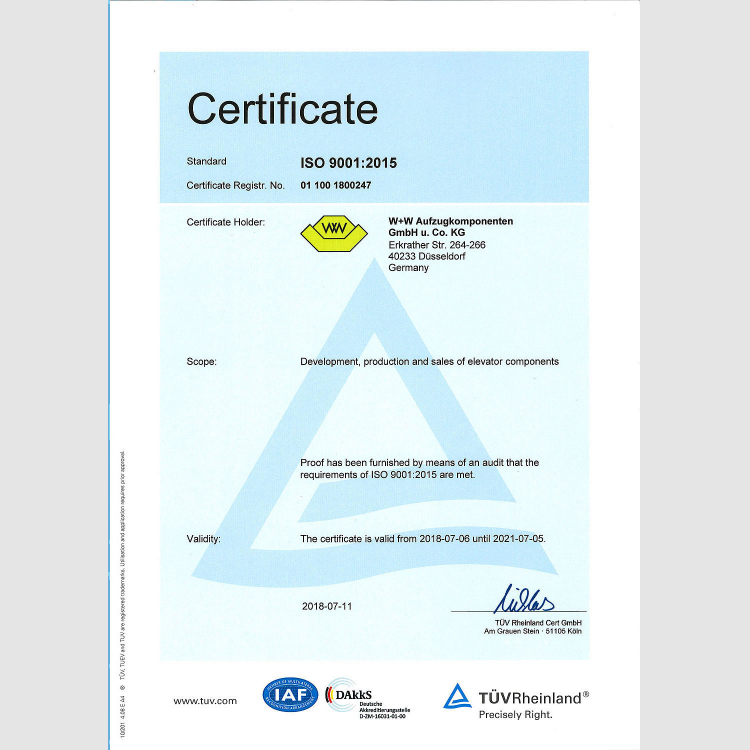 At the audit in July 2018 the TÜV Rheinland stated that W+W Aufzugkomponenten consistently observes and implements all the requirements of the ISO 9001:2015. We are pleased with the positive result of this extensive examination of the quality standards at W+W Aufzugkomponenten.